The generally accepted practice of conventionally cementing monolithic ceramic restorations is clinically effi cient and is the most popular method of placing our all-zirconia TLZ, BruxZir, and lithiumdisilicate eMax restorations. In a recent edition of Inside Dental Technology, however, Dr. Ed McLaren takes issue: “The problem is that these cements are much more soluble than resin-based cements. If, over time, the cement solubilizes and fails, exposing the glass cement to saliva, the restoration can undergo hydrolytic degradation which weakens the material.” He recommends bonding these restorations, particularly in situations where the preparation is non-retentive. Dr. Russell Giordano, Boston University Goldman School of Dental Medicine, an authority on dental materials agrees. It has been established that bonding almost doubles the load and increases resistance to failure. Low pressure, sandblasting the interior of the restoration at the laboratory with alumina, and the use of primers, such as AZ Primer (Shofu Dental Corporation), Clearfi l™ Ceramic Primer (Kuraray), Metal/Zirconia Primer (Ivoclar Vivadent), and Z-Prime Plus® (BISCO), signifi cantly improve adhesion. 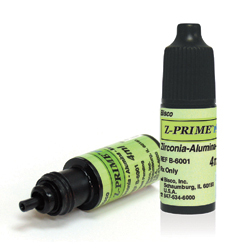 Recently, The Dental Advisor gave Bisco’s Z-Prime Plus a 5-Star rating and claimed that it doubles zirconia bond-strength. Z-Prime is a priming agent that enhances the adhesion between zirconia and composite resin cements, in both self-cure and light-cure modes. Based on what we’ve recently learned about the effects of primers, therefore, we recommend their use on both full-contour zirconia and porcelain fused-to-metal restorations, particularly with minimally retentive preparations. Zirconia and Porcelain Polishing & Adjusting Due to the incredible popularity of ROE’s monolithic zirconia restorations (TLZ) we are frequently asked to recommend products to adjust and polish zirconia. Komet USA developed ZR Polishers a special line of burs specifically designed for hard materials like zirconia and lithium disilicate (emax). They incorporate interspersed diamonds for a “consistently, outstanding sheen in just two steps”. They are identified by blue for pre-polishing and light-gray for high-shine final polishing. Both are available in three shapes: point, flame, and cone. ROE now offers a special kit for intraoral adjustment of full-contour zirconia and lithium disilicate restorations. The new, diamondinterspersed, ZR Flash Polishers are designed to re-glaze hi-strength ceramics simply, once seating adjustments are complete. 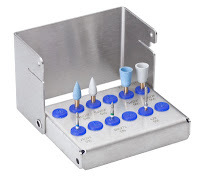 These slowspeed points and cups complement Komet’s excellent long-lasting adjustment burs. Call our customer service team to place an order. The kit comes in a sleek stainless steel block and is available for $95. 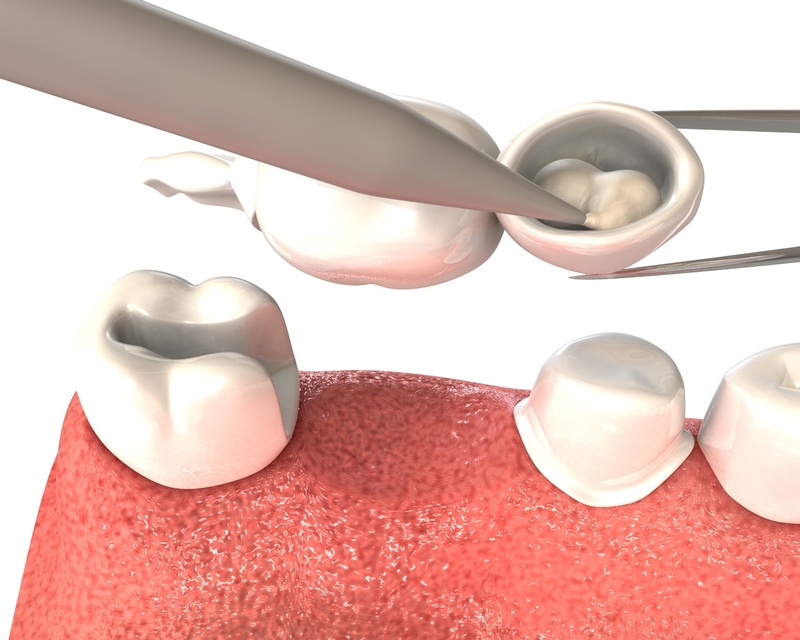 Zirconia is one of the most studied materials in dentistry, especially since the development of the monolithic option. Manufacturers insist that wear to opposing dentition is similar to enamel, provided that restorations are highly-polished. Furthermore, many dentists contend that individual crowned teeth in balanced occlusion should not spontaneously supererupt because of wear to the opposing teeth. Rella Christiansan’s TRAC Research group has released preliminary results of a 7-year full-contour zirconia wear study which supports both of these claims. The study seeks to measure the amount of wear zirconia and other monolithic restorations exhibit invivo. After one year, the “very promising” results show that zirconia “mimics” natural dentition. Don’t let phosphates contaminate your zirconia. Phosphates, in the form of phosphilipids, are found in saliva. They are attracted to zirconium oxide and create a reaction that affects ‘bonding’. Phosphilipids cannot be rinsed with water or phosphoric acid, which is actually full of phosphates. Therefore, following a tryin of a zirconia restoration that has contacted saliva, it is recommended that you use a zirconia oxide solution called Ivoclean from Ivoclar. This 20-second process optimizes adhesion by drawing the phosphate groups away from the oxides and leaving a fresh bonding surface for priming and/or cementing.